Taking care of your drilling equipment is paramount to maintaining a successful business in the Geotechnical Drilling industry. We all know safety is an important aspect of the drilling industry, but to drill safely it requires a great deal of detail which involves proper, well maintained equipment. Maintenance and repair go a long way to ensure your equipment is up to par, and in return allows your company to provide accurate services with confidence. Having quality equipment also gives companies the professional edge to establish and maintain clientele, complete work efficiently and protect the safety of their drillers. All key strengths that lead to success! Mannik & Smith Group is one company that recognizes the importance of keeping quality well maintained drills in their geotechnical fleet. In fact, they just got their Geoprobe® 6620DT direct push unit serviced by Rig Source in order to keep their company on the path to success. 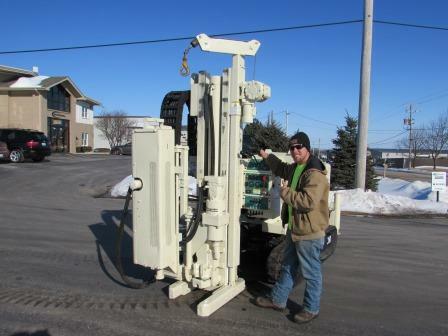 James, a seven year direct push driller, was excited when he picked up this newly refurbished Geoprobe® drill. “I’m anxious to see how smoothly the serviced rig works. First I’m taking the Geoprobe® 6620DT to Michigan for some geotechnical work and then I’ll be heading to Ohio to start another project. ” says James. General Maintenance: oil change, filter replacements, etc. 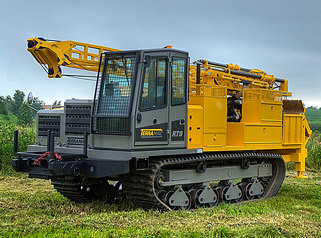 If you would like to keep your business on the forefront of success in the geotechnical drilling industry, it’s highly recommended that you don’t let your equipment slip. Be sure to give your drilling equipment the care it needs to excel. After all, high quality equipment directly reflects upon your business by how well you are able to complete your geotechnical jobs and satisfy customers. 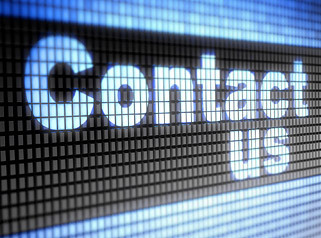 For help refurbishing your direct push equipment, give Rig Source a call at 630.365.1649 today! It was a long week with these guys out of the office for Geoprobe® training, but they’re back and more knowledgeable than ever before on Geoprobe® products. Naturally, Rig Source strives to provide you with the most up to date Geoprobe® equipment and tooling so it shouldn’t come as a surprise that we went out of our way to give our guys some extensive Geoprobe® training at Geoprobe’s annual open house event. Different than in years past, we sent multiple employees to view Geoprobe’s new equipment, receive field demonstrations, and enhance their knowledge of Geoprobe’s equipment and tooling. Being a sales and rental center equipped with Geoprobe® direct push units as well as Geoprobe® tooling, we find opportunities such as this necessary to enable us to offer the most up to date and accurate product information for our customers. This year’s open house highlighted the new Geoprobe® 8150LS Rotary Sonic, new Geoprobe® 3230DT rig, new Geoprobe® 3.75 in. tooling and new sonic dual tube systems. In addition to their new rollouts, Geoprobe® held a variety of workshops and demonstrations for the day that allowed our team to interact with other industry leading drillers that use the equipment on a daily basis. Below is what Bryan Sarsfield, Rig Source rental coordinator had to say about his Geoprobe® training opportunity. 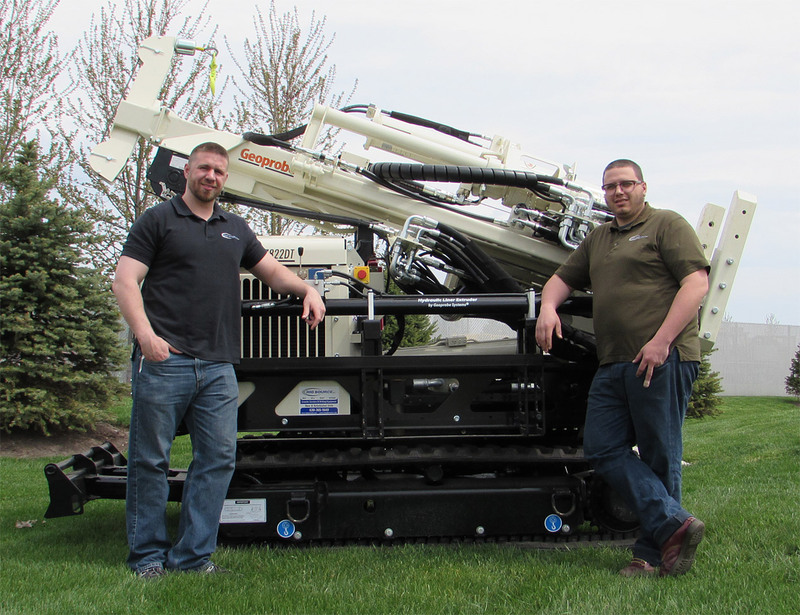 Along with our rental coordinator, Rig Source sent parts man, Dan Nestmann and sales representative, Jesse Whittaker to Geoprobe® training to better assist you with your Geoprobe® direct push sale or rental and tooling purchases. If you thought Rig Source was good before, we just got better! To purchase or rent a Geoprobe® direct push unit or Geoprobe® tooling, please feel to browse our current selection online or give us a call at 630.365.1649. Have You Ever Seen A Souped-up Geoprobe®? Most drillers see a Geoprobe® as just another tool used for soil sampling in the geotechnical and environmental industry, and don’t necessarily expect to see such units with a flawless physique. However, there is a first for everything, and Rig Source had the pleasure of souping-up their first Geoprobe® unit. The outcome was nothing short of eye-catching. Rig Source completed this project for our long standing customer, Environmental Group Services Limited (EGSL). Typically, EGSL brings their Geoprobe® 6610 in once a year for a tune up and general maintenance. This time around it was determined that they would add some bells and whistles to protect the major impact points that end up getting worn while on the job. Not a bad idea when you’re consistently presenting equipment in front of customers, and want to maintain a professional appearance. It’s like the saying goes, dress for the position you want not the job you’ve got. EGSL certainly has the right idea when it comes to servicing their Geoprobe® unit once a year for general maintenance. One of the biggest challenges they face with equipment is having it function properly during the winter months, and general maintenance will ensure these units do just that. As far as upgrades, Rig Source added diamond plating to the major impact points that EGSL requested some extra protection for. The diamond plating is capable of withstanding the rough wear and tear that Geoprobe® units receive in operation. Ultimately, these upgrades should prevent chipping and rusting that can make units appear to be run down. 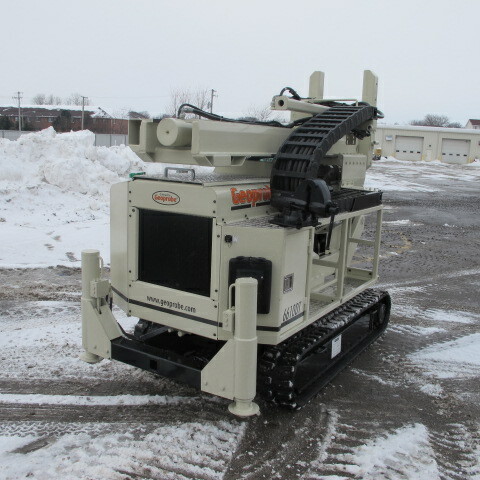 Seeing that this Geoprobe® 6610 is the only direct push unit that EGSL currently uses, it is constantly on the move around the Chicagoland area as seen in the working photograph below. On the before photo you’ll notice that select locations look a little rough around the edges while on the after photos the unit looks good as new and shows off the new diamond plate. If you are looking for a Geoprobe® for sale or looking to tune up or upgrade your current Geoprobe® unit, call Rig Source today at 630.365.1649. We have a full service department that will exceed your expectations, and get you the direct push unit best suited for your needs. 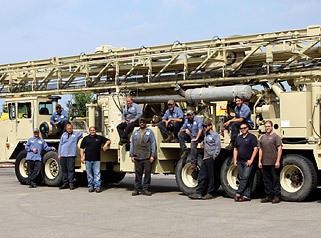 Additionally, if you have a quick job to do, look into Geoprobe® rental units by Rig Source. We offer various daily, weekly and monthly rates to help you get your job done! Labella Associates, P.C. located in New York figured out how to add money to their bottom line with a used Geoprobe® unit. Labella is a renowned architecture, engineering, planning and consulting firm that recognized they could save money by doing direct push projects in house with a Geoprobe®. 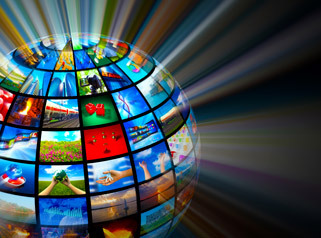 In an effort to reduce cost for both the company and clients they sought out a solution, and quickly turned to Rig Source. Our outstanding sales team was able to assess Labella’s needs, and get them an immediate set up with a used Geoprobe® 54LT direct push unit. The Geoprobe® 54LT is photographed below with Labella’s Senior Environmental Geologist, David Engert and is now being used by Labella’s construction division to complete soil sampling during the environmental and planning stages of service. The Geoprobe® 54LT was the environmental direct push unit of choice ultimately for its size which allows for excellent remote access and low clearance ability. The Geoprobe® 54LT unit only needs 8ft of clearance in order to use 4’ tooling. This kind of clearance allows the Geoprobe® to be used both indoors and out which is ideal for the architecture business. Now that Labella has their own Geoprobe® direct push unit they plan to take over their own soil sampling during construction projects and reduce the use of contractors. This will eventually save money for both their business and clients. 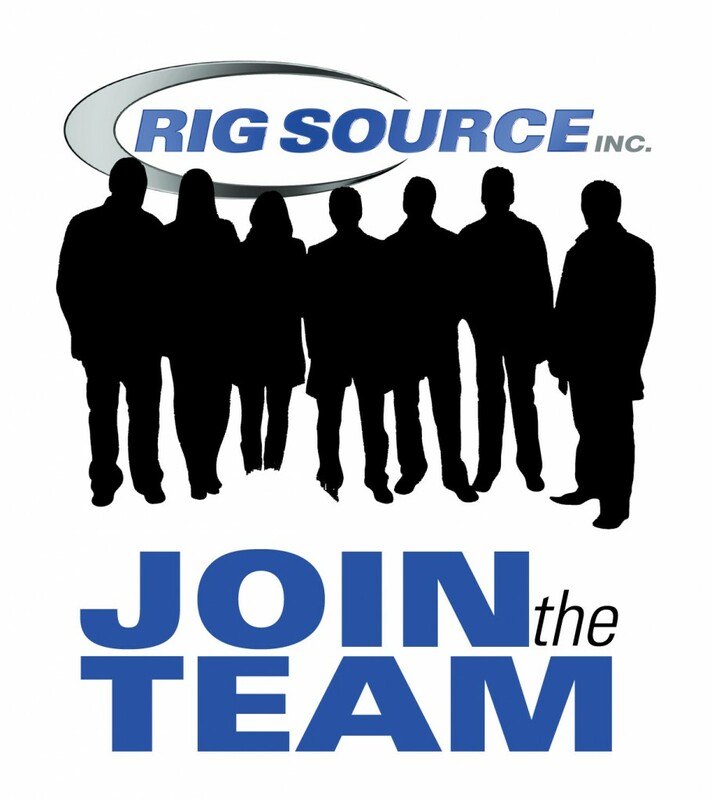 Save your company money, and call Rig Source at 630.365.1649. Our dedicated sales team would be happy to help you find the best Geoprobe® unit for your needs and at great prices – Call Now! Get ‘Em While They’re Hot – Rental Units Available! Don’t let the recent sunshine fool you. Rainy conditions are upon us so don’t wait to book your rental units today! Rig Source will work closely with you to provide you with the best fit attachment piece for the selected crawler carrier. Custom bed configurations can include: a flatbed, dump bed, rock bed, crane and 1,400 gallon water tank. 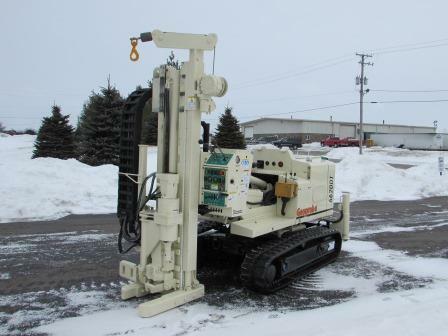 Additionally, Rig Source has tracked mounted drilling equipment available for rent like the CME-55 mounted on a TCX-850. 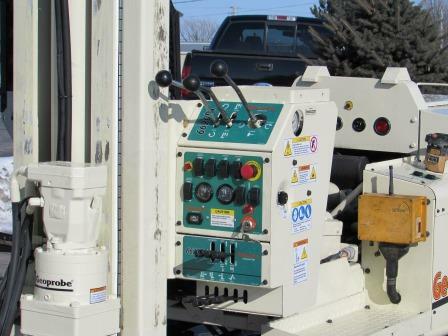 This rental unit comes fully equipped with an auto hammer, break-out wrench, wire line winch, and Moyno pump. 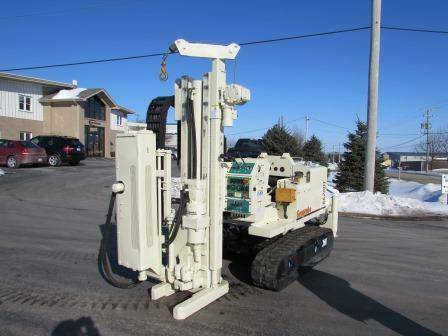 It is the ideal rental unit for the geotechnical and environmental driller. 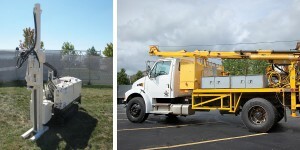 Geoprobe® direct push rental units have also been made available during this rainy season. Rig Source has the 420M, Power Packs, and 7822DT’s. 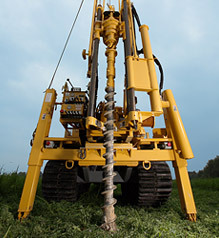 These particular units are used for the geotechnical and environmental drilling industry as well and excellent options for those looking to do soil penetration testing. To lock in your rental unit with Rig Source while units are still available, call Bryan today at 630.365.1649 or check out our rental showroom! 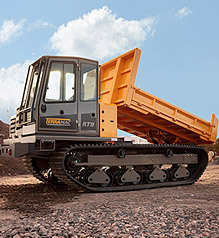 Rig Source captured some excellent footage of the 2013 Geoprobe® 7822DT. Watch as mechanic, Chris West towers up this Geoprobe® unit, lowers the auger, and demonstrates the winch moving up and down. 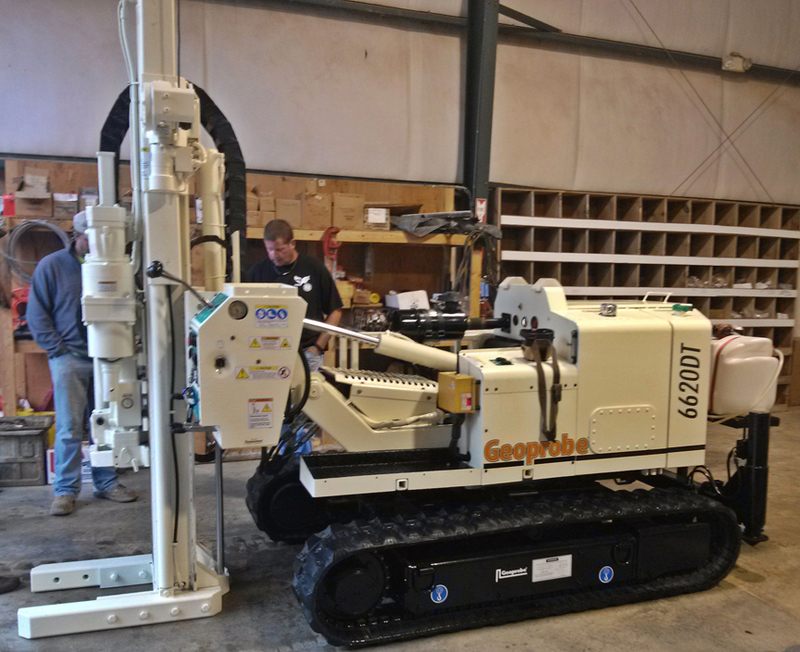 Anyone in the geotechnical or environmental field will appreciate knowing Rig Source has added two more of these Geoprobe® 7822DT’s to their rental fleet in addition to the Geoprobe®6712DT units that were previously available. As always, used Geoprobe® units are also available for purchase through Rig Source. 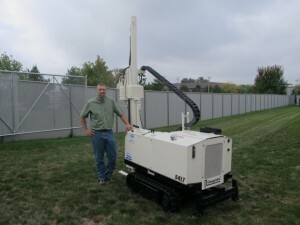 For Geoprobe® purchase or rental information, call Rig Source today 630.365.1649. Earth Science Engineering in Clarksville, TN just added a Geoprobe® 6620DT to their growing fleet of equipment. The Geoprobe® 6620DT is used by Earth Science Engineering for soil testing; they recently just completed an 11 – hole project. The compact size of the Geoprobe® 6620DT gets into confined spaces and is easy to maneuver through shallow water, soft sands or muddy fields. 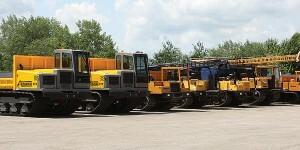 Rig Source also has Geoprobe® 6610DT, 7730DT and 7822DT direct push units available for sale or rent. 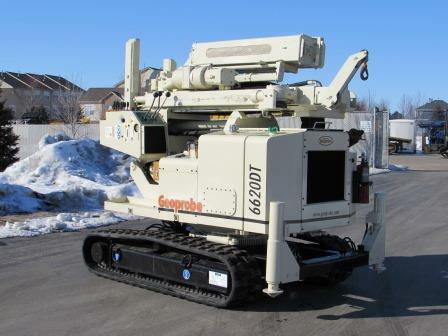 Interested in buying a used Geoprobe®? Contact us by phone 630-365-1649. Take a look at the Geoprobe® rental showroom or sales showroom.